Introducing Natalie, a transplant from Charlotte, North Carolina. Natalie moved to New York City to follow her passion for fashion and works in the fashion industry. This young woman has an extremely contagious smile that could easily turn into a pandemic. There is definitely something romantic about her and she has an exquisite beauty. Her well-defined facial features reminded us a little bit of Sophia Loren in her early 20′s. David took that as inspiration and created a very classy and sophisticated Sophia Loren-inspired style. 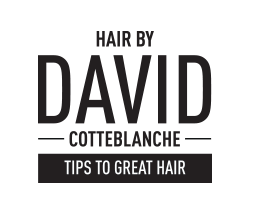 1.Shampoo hair, towel dry then use Kérastase Mousse Bouffante, combing it evenly through hair. 2.Blow dry hair and then take ¾” sections of hair to create pin curls around the whole head also using ¾” curling iron. 3. When curling each section try to make each curl going in the opposite direction of each other. 4.Brush out and play around with the curls, adding a sparkly accessory for a more formal touch.